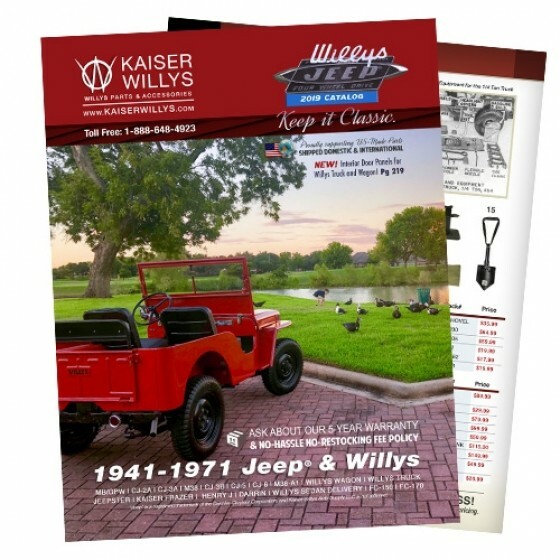 2019 Kaiser Willys Parts Catalog - 288+ pages of full color descriptions, photos, community highlights and field guides, NOW with helpful technical articles sourced from our customers! 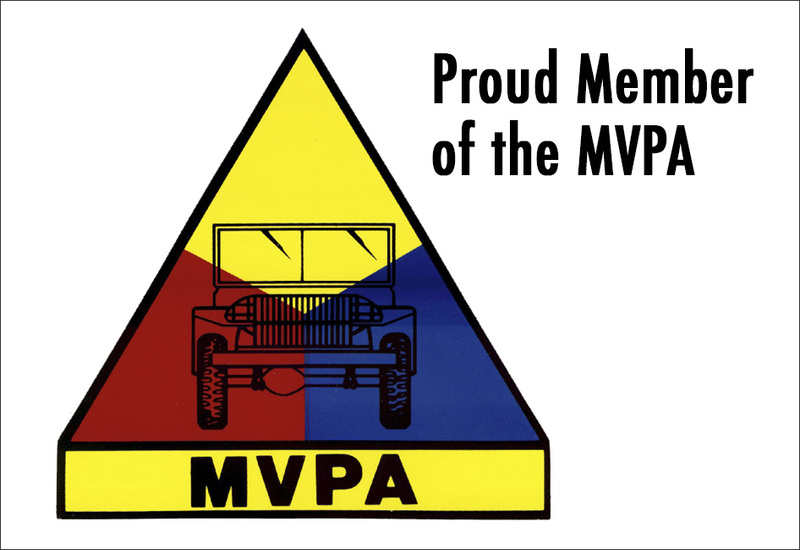 For International Orders: Catalogs are free if placing a parts order. If an order is placed for a catalog only, an international shipping of $32 will be charged after placing the order. Note: The international shipping charge does not apply for customers in the US, Puerto Rico and Canada. Questions: I would like to buy a speedometer, can you send it to México? Questions: 1. Like to purchase several manuals at a total of US162.95. and two catalogues. Could you please advise payment arrangements and freight cost to Australia. 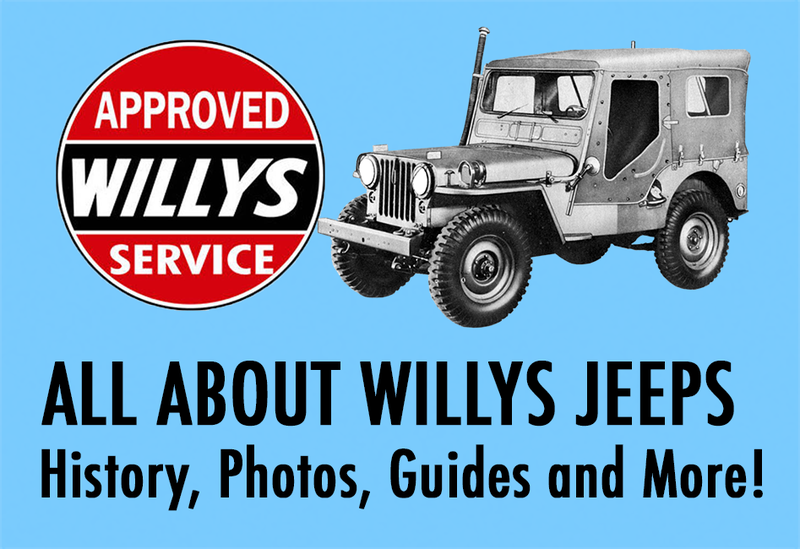 Manuals are parts manuals for CJ2A,CJ3B,owners manuals for same, and Willys service manual. 2. Availability of seats/seat frames for a1974 CJ5. 3. Parts manual and workshop manual for a 1974 CJ5. Thanks David Mercer. 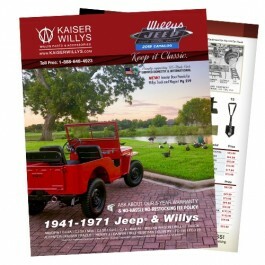 Please email mike@kaiserwillys.com the part numbers and quantities you need. And your full shipping address. We can quote you out. Thanks! Questions: I have 1953 cj3b with a king pto winch on the front, I'm having some trouble getting the cable to retrive since the engine works fine could you tell me what the issue could be or how I could get it to work step by step instructions will be much appreciated thanks Murray. If you could call us toll free and we can try to help you out on this. We can see what is going on. Ask for me Mike M.
Questions: Good Day, what would shipping costs be to South Africa just a ball park figure? USPS international shipping is $32.99 to Saudi Arabia. 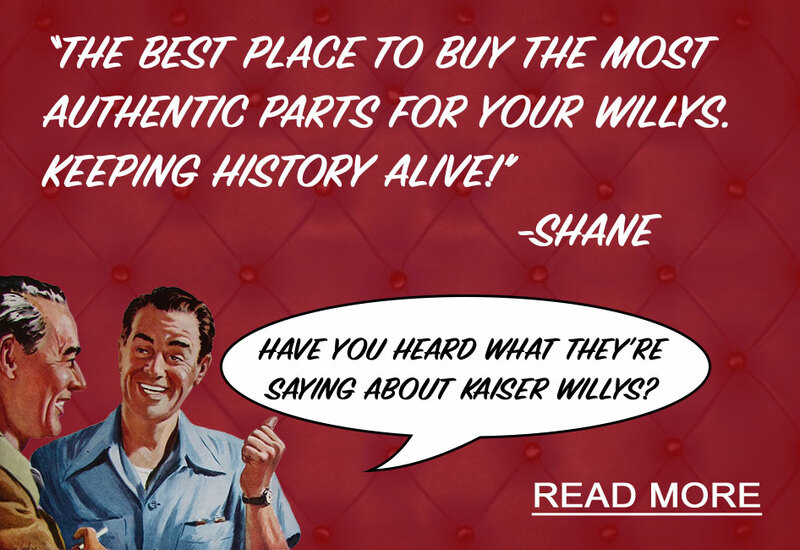 Please email mike@kaiserwillys.com your full shipping address and we can help you out on it. 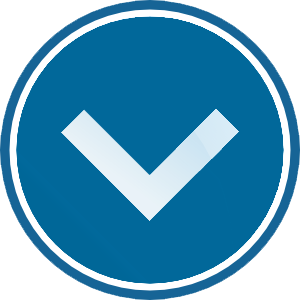 Questions: Is an electronic version of your catalog available? Yes, please select international at the free catalog page and you will be directed to the pdf version. Also browse our shop by category section. Questions: How much does it cost to send a copy of your catalog to Iceland? Questions: How much it cost to send one copy to Brazil? Its possible to pay with paypal? Shipping to Brazil for the free catalog is $35.99 via USPS international. Questions: HOW MUCH DOES IT COST TO SEND YOUR CATALOG (AMEXCO PAYED) IN ITALY ?